Before we were attacked, I drafted the following post from the comfort of our hotel room. It’s ironic to glorify this destination after our traumatic experience. However, I know people will still continue to travel (we’ll keep traveling too! ), so please read this travel safety precautions post before you go! Where’s the most exotic place you can visit without a U.S. passport? Oh, sure. Hawaii is exotic. 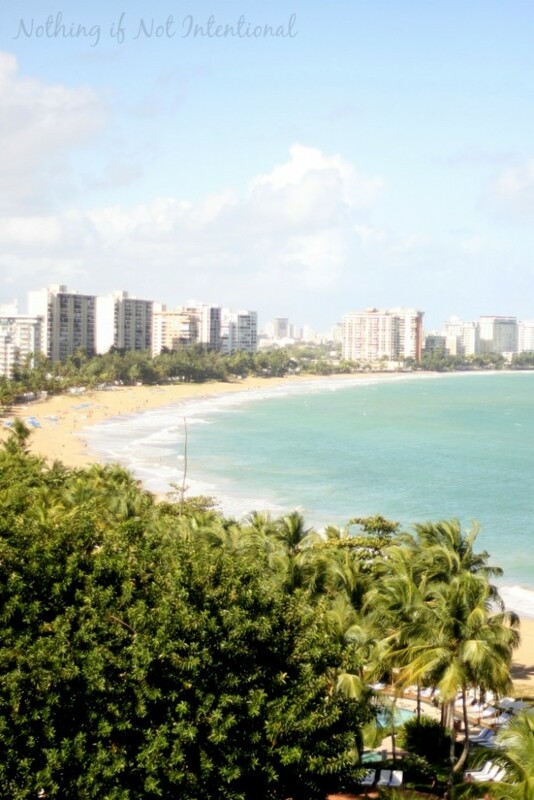 But today I’m thinking of Puerto Rico. 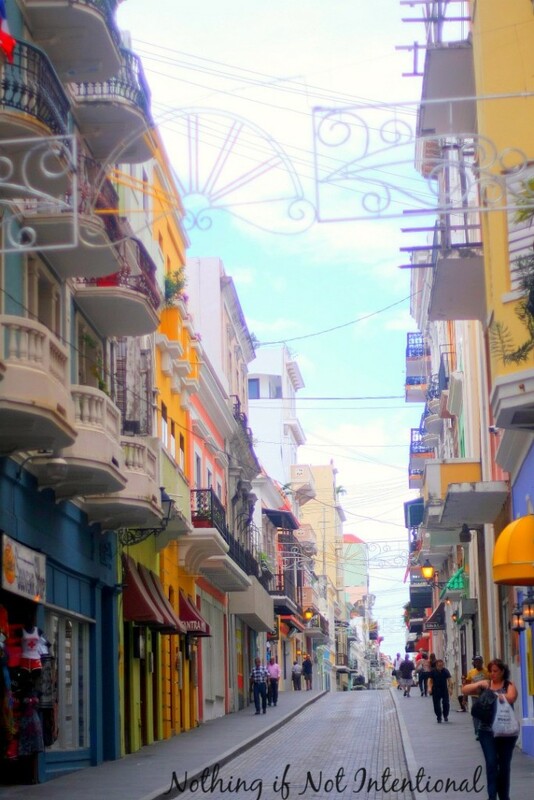 Puerto Rico is more than just a place the Sharks sang about in West Side Story. It’s a legit Caribbean island. With palm trees, coconuts, waves, sunshine, year-round warm weather, and a rainforest. As a guy told us on the plane–it’s just like the U.S. only they can’t vote for the president. Honestly, I have no clue if that’s the extent of our differences. But I do know that U.S. citizens don’t need a passport, the currency is the U.S. dollar, both Spanish and English are official languages, the water is safe to drink (regulated by the EPA), and it’s cheaper (for most people) to fly to than Hawaii. 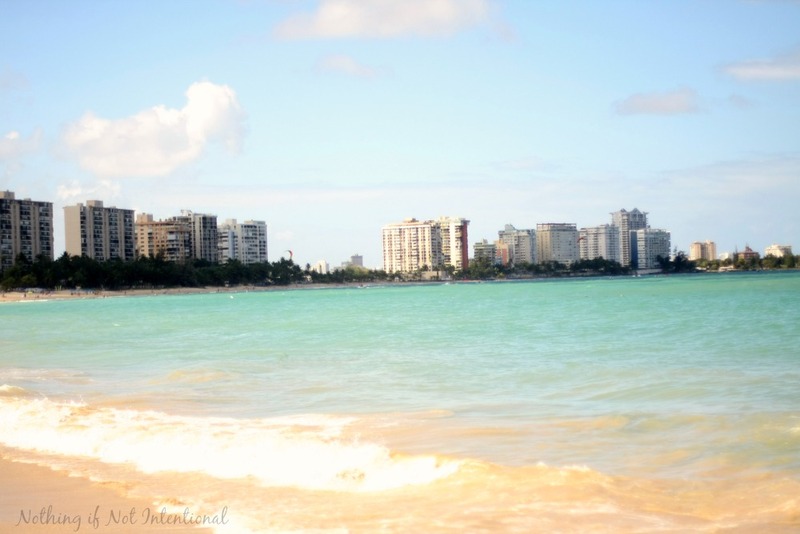 We loved how we got to enjoy the Spanish culture (mofongos–yum!) and language while also enjoying the comfortable perks of home. Puerto Rico has U.S. infrastructure. (The highways are nice. Driving is easy and comfortable!) Our provider offered non-roaming cell phone coverage. And there are plenty of easy flights to and from mainland U.S. and Puerto Rico. As if that’s not enough, the water was bath-water warm in January–much warmer than our recent winter trips to Miami and San Diego. We took a drive through the El Yunque forest as it’s the only tropical rainforest in the U.S. National Forest System. 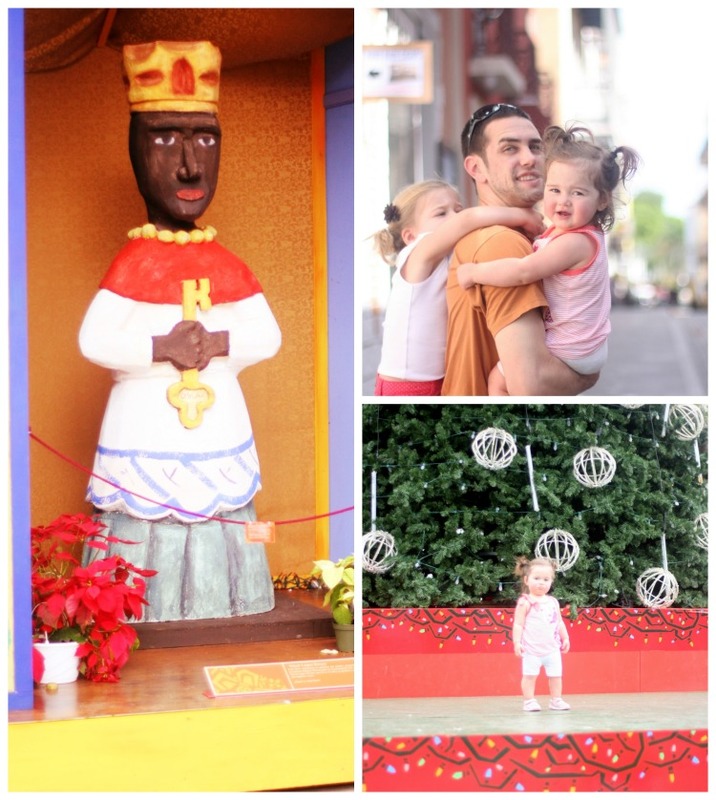 Old San Juan was a brightly colored city with quaint restaurants and a historic fort, We visited on Three Kings Day. Can you tell? The Bio Bays are amazing! My parents watched the girls while Nate and I took a night-time kayak tour through a glowing grotto. When we stirred up the water with our paddles, it glowed! You can read more here. On the other hand, we were a bit disappointed to discover this is one Caribbean island without all-inclusive resorts. 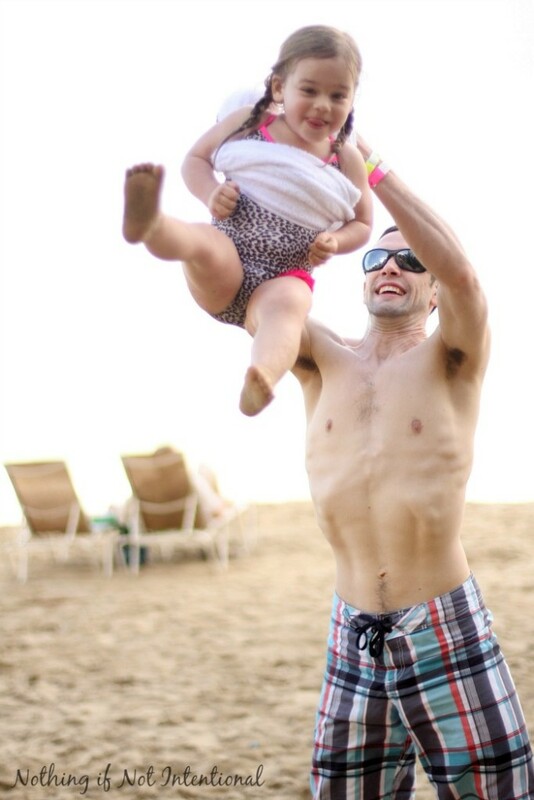 We had a great experience in Jamaica (link) and would have liked to have stayed at an all-inclusive again. On New Year’s Eve, many restaurants were closed. We ended up at (wait for it!) Outback. Yes, wannabe Australian food from a U.S. chain restaurant in Puerto Rico. Also, on NYE, I felt horribly under-dressed in my pink sundress. I looked out-of-place in a sea of black and red dresses and stilettos. Sure, it was an important holiday, but I’ve also read that Puerto Ricans love to get dressed up. 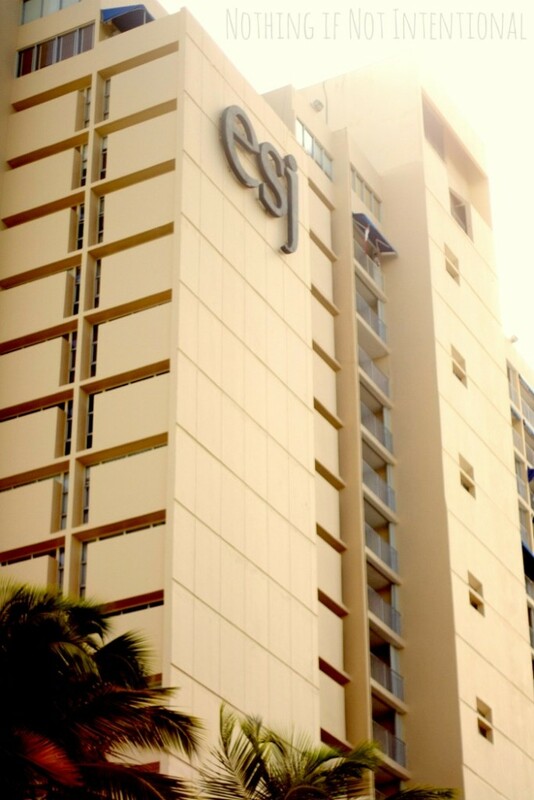 We stayed at ESJ Towers in San Juan, Puerto Rico. 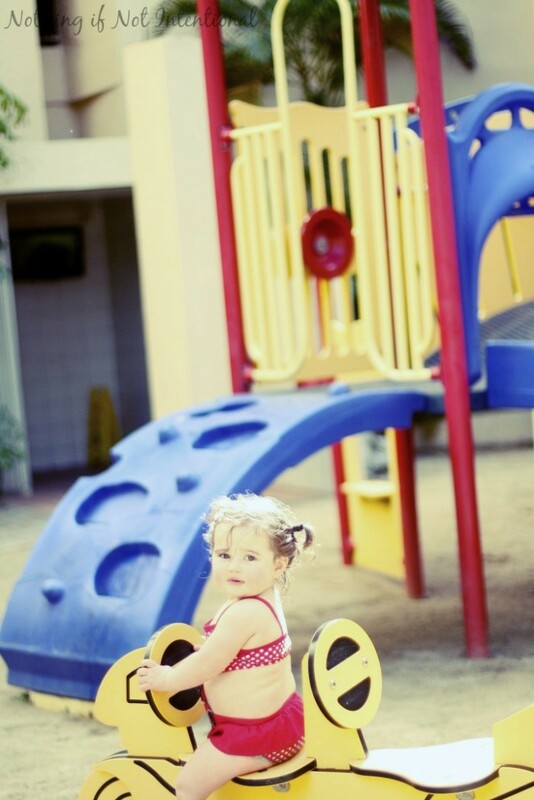 Our girls (ages one and three) loved the little resort playground near the beach. The breakfast buffet was perfect for our family. My girls were happy to start each morning with things like eggs, bagels, fresh fruit, cereal, waffles, and milk. Before the trip, we were told that we would need U.S. Coast Guard approved life jackets for the girls in the pool. This rule was not enforced, but other pool rules were very closely followed. 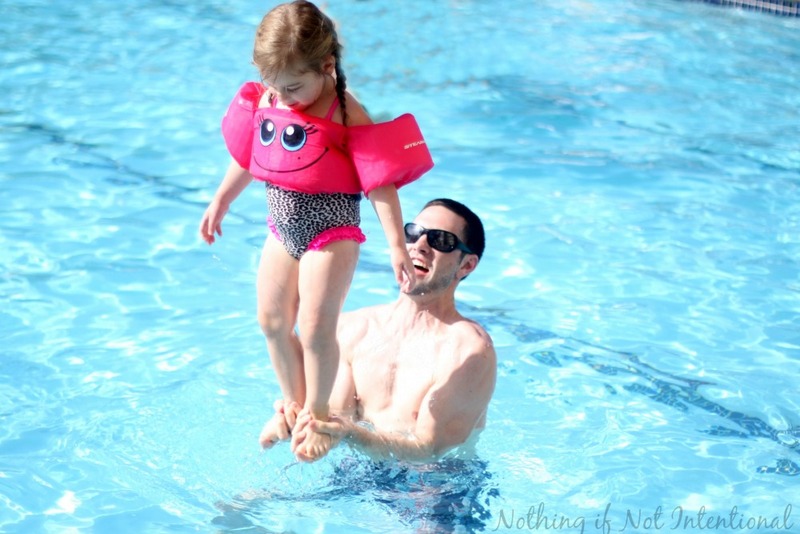 For instance, no beach balls, dive rings, rafts, or pool toys were allowed in the pool. Wifi was included with our room, but each day you needed a different coupon and coupon code that was valid for only one device. What a pain. For our family of six (four adults and two toddlers), our taxi ride from the airport was $24 + $6 tip (in January 2014). Cribs were provided free of charge. The oceanview rooms were, of course, preferable to rooms with views of the street. We had to change rooms during our stay, and our girls loved that our new room faced the nearby airport and we could watch planes taking off and landing. ESJ Towers is a timeshare property. We were asked to attend a presentation once; we politely declined. We weren’t bothered again. I feel as though the weaknesses of ESJ Towers were lack of hot water in one of the showers, inconsistent cleaning service, an inadequate supply of beach towels (we had to go without towels several days), and additional charges for things like beach chairs and umbrellas. 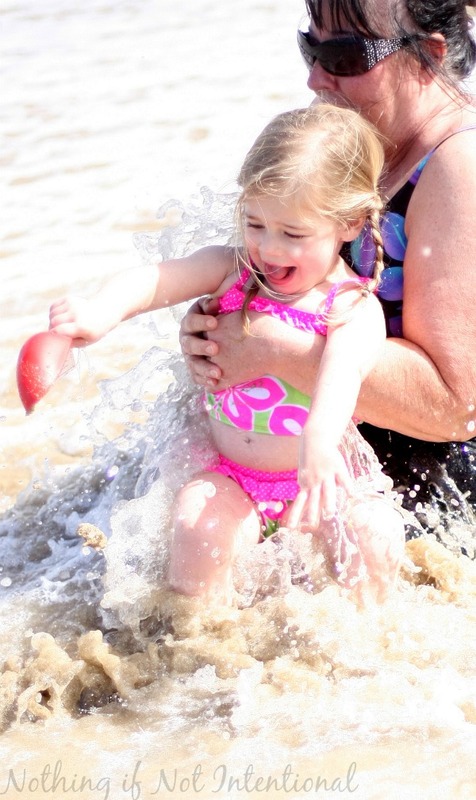 The beach waves were pretty rough for our little ones. And, of course, the fact that we were mugged and held at knife point just a few steps from the gate of ESJ Towers taints our whole experience. I know that muggings can happen anywhere, and people travel to Puerto Rico all of the time without incident. However, some people think that crime in Puerto Rico is a serious problem, and that our experience isn’t all that uncommon. There was a 2014 article (you can read it here) that talked about the “astronomical violent crime rate.” The murder rate in Puerto Rico is comparable to that of Mexico and the Dominican Republic. 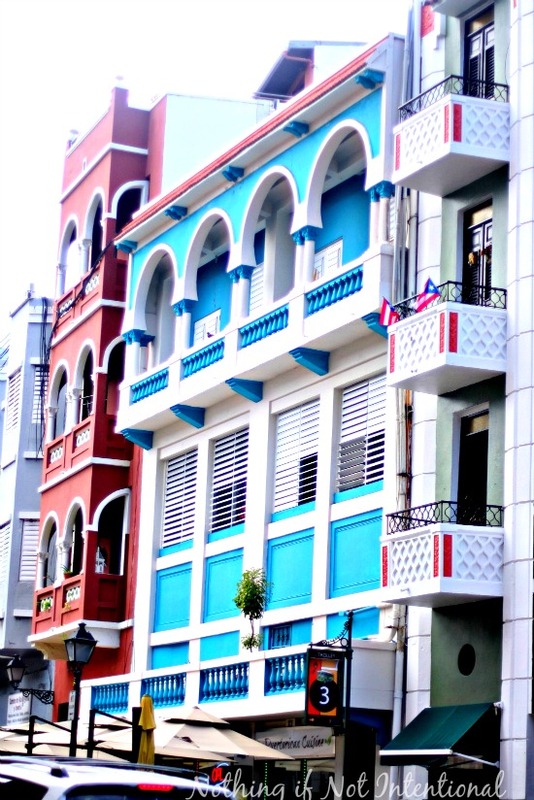 Another 2014 article from the New York Times talked about how Puerto Ricans are leaving en masse due to the bad economy and crime. 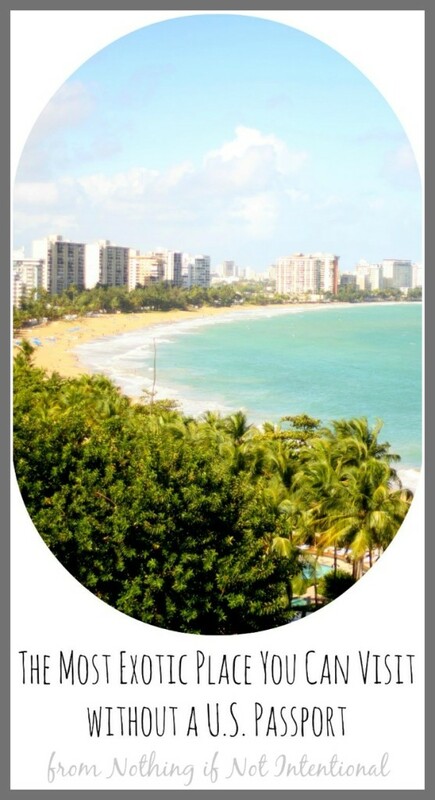 Was our experience with violent crime a random fluke or should I discourage you from visiting Puerto Rico? Had we not been attacked, it would have been a lovely, affordable, exotic, refreshing trip. If you go to Puerto Rico, please be careful. ← When Bad Things Happen–What to Do if You’re Attacked.